Working for LONG is more than just a job, it's a career. It means joining a collaborative team of the industry's best and brightest to bring innovation and a new level of customer satisfaction to the building technology industry. We are always looking to add talented, passionate people to our teams. Join Team LONG today. 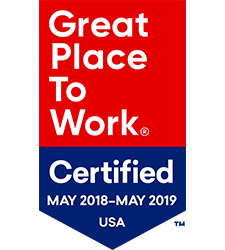 We are proud to be named a Great Place to Work-Certified company! LONG Building Technologies, Inc. earned this credential based on extensive ratings provided by its employees in anonymous surveys. This acknowledgement is quite an honor for LONG, and without our employees' commitment to bettering LONG as a whole, helping and teaching each other, caring about our customers’ issues, getting involved in our communities, and investing in challenging yourselves, LONG wouldn’t be receiving this prestigious recognition. Thank YOU! LONG strives to create a working culture and environment that inspires our employees every day. We have made a focus on providing comfortable and efficient workspaces that boost collaboration and creativity. Standing desks allow for better blood circulation, better posture, and more alertness while still providing you the option to sit. The leadership team at LONG encourage their teams to maintain a comfortable work-life balance. In order to create this, we provide a range of professional tools that accommodate flexible working. We also encourage employees to take advantage of their Vacation & Sick time when they need it, and disconnect from email and phone calls at the end of the day and on weekends. We want our employees to truly feel they are valued, and part of that is being able to rest adequately and take time away from work. LONG has made a big push since 2013 to focus on our employees’ wellness. We have a Wellness Committee that meets once a month to discuss various events (Biometric Screenings, 5ks for charities, volleyball teams, softball teams, kickball teams, etc. ), wellness initiatives around nutrition and fitness, company challenges, and various spiffs that provide our employees with discounts on gym memberships, fitness trackers, etc. LONG offers competitive benefits to include: medical, dental, vision, long-term disability, term life insurance, accident and critical care coverage, 401k options, and a profit share program. All individual contributors are eligible for this program to be nominated by their managers for displaying excellent work ethic, commitment to the company, and generally going above and beyond. A gift card and pen are presented to the winners. This program promotes employees to recognize their fellow coworker through the presentation of a LONG gold coin. 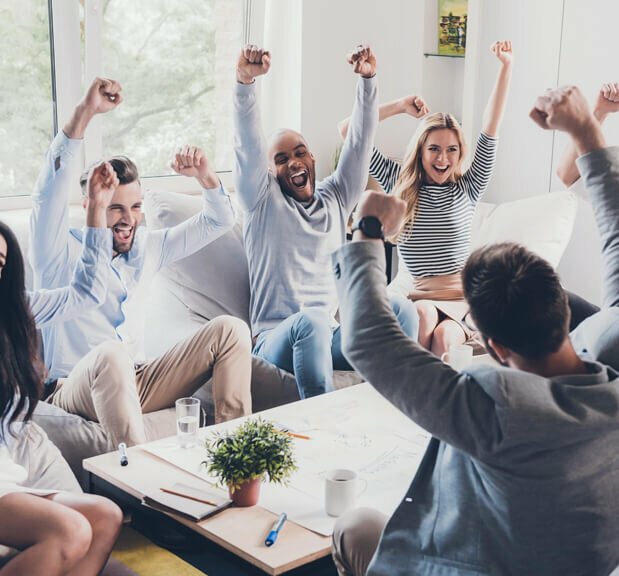 Employees can use this program to publicly and officially thank their peers for a job well done! As LONG has grown, this program has expanded to include multiple employees – Leader of the Year, Salesperson of the Year, Contracting Employee of the Year, etc. A travel voucher for the following year is on the line! The employees who have shown exemplary performance and contribution to the company over the past year are considered Employee of the Year candidates and competition is steep! We have great people! Once employees become LONGBoarders, they tend to stay! LONG likes to recognize employees at 5-year intervals for their commitment to the company and there are gifts associated with each interval. These awards are presented at the holiday part at the end of the year. LONG is comprised of four business units – Building Environments, Building Intelligence, Mechanical Solutions, and Security Solutions. 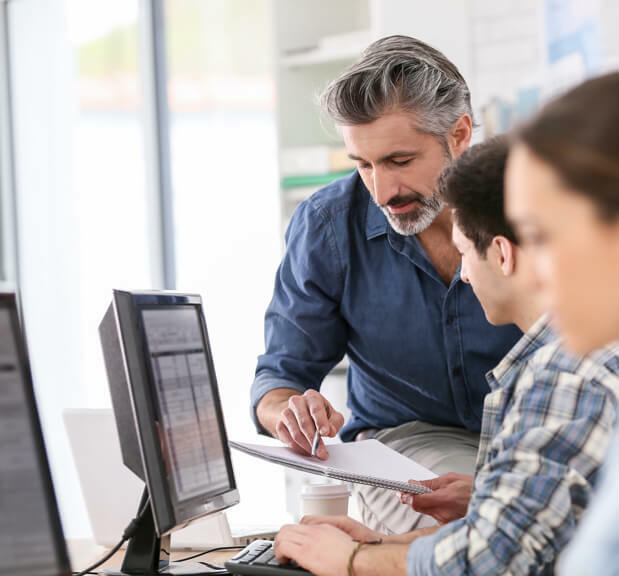 Each unit operates a little differently, but most of them have needs for skilled project managers who can manage both material and people from start of a job to finish. Our technicians work within building automation, mechanical solutions and security solutions to provide top-notch customer service, troubleshooting and repair services. Our technicians get hands on training with experienced technicians before they are allowed to work on their own so we can ensure the quality of their work and their overall knowledge of the systems they are working with. Within our warehouses, we have positions from Material Handlers, Warehouse Assistants, Warehouse Supervisors to Warehouse Managers. Our warehouse staff are extremely driven, positive, happy to help wherever they can, and always interested in seeking out new challenges and growth opportunities. LONG has partnered with IEC (Independent Electrical Contractors) to provide an Apprenticeship Program for electricians. LONG covers the cost of schooling and provides the required amount of working hours under a licensed Journeyman for an Apprentice to be able to complete their Apprenticeship Program and test to become a Journeyman Electrician. LONG encourages and supports employees furthering their education and contribution to the company. Rather than a reimbursement program that asks employees to pay for their education up front and wait until the end of the semester to be reimbursed, LONG offers a scholarship program that pays schools directly and up front prior to the start of the semester. This program offers up to $10,000 per year toward an applicable degree. Our industry is ever-changing and technology keeps us on our toes! LONG is a proponent of training and each individual business unit has multiple training opportunities available depending on position. Safety training, corporate/ethics training, and other topics are also companywide initiatives that set employees up for success in their day-to-day. Find a job opening that matches your background and interests. Browse open positions. Click Apply next to the job you are interested in, attach your resume and follow the remaining application steps providing as much relevant information about your work experience and education as possible. Make sure you included all relevant information, checked your spelling, and click submit. Don't be discouraged if you receive a rejection letter - it does not affect other applications and you're always welcome to apply to other jobs listed that you feel you're a good fit for. We will contact you to establish a phone interview. This is also your opportunity to ask any questions you may have about the company and the position. Come well-prepared. Do your research and gather information about LONG and the position. Arrive dressed in business casual or business attire and always have a few copies of your resume on hand. We will provide you with feedback. If you are not selected to move forward, you are still encouraged to continue watching our Careers page and apply to positions you feel you would be a good fit for. You will receive a verbal offer, followed by a written offer. Once you've signed the offer and sent it back, we will begin a background check, MVR, and drug screen process that all our employees are required to pass. "I have enjoyed tremendous opportunity and challenge while working for LONG. The controls industry sets a blazing-fast pace, and our technical personnel are leaders in this field. We train continuously, and constantly update our systems and products to stay current." "I work at a place where success is recognized, community is obvious and there is something to look forward to each day. I feel humbled every time I walk in to the office because the caliber of people that I work with is flat out impressive. If you want a stable and steady job that is stream lined, hardworking and where you can build your own career then LONG is the perfect place." ""I have been welcomed with open arms. I felt comfortable even on my first day of work due to the patience and kindness of my coworkers. Members of the LONG team are intelligent, helpful, respectful, and hardworking, but they also know how to have a good time. I have found the company to be extremely well managed and understanding of my personal life. I enjoy being a part of the LONG team because the company’s sincere investment in its employees’ wellbeing results in smarter, harder-working employees. I look forward to many more years of comradery and teamwork. Go LONG!!" Start the next phase of your career today - join Team LONG. LONG cares about its employees, but don't take our word for it. See what past and present employees have to say on GlassDoor.